Click Here to see the workouts I used to help improve my score. Alright! It is official… I have finally got my 50-Burpee Challenge on video to prove that I have completed this in under 3-minutes. Now if you are not familiar with this challenge, what it consists of is 50 burpees as fast as possible. Pretty simple. 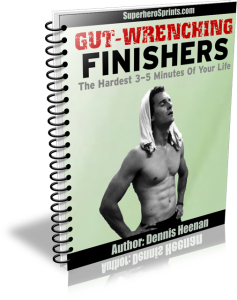 If you can complete all 50 burpees in under 3-minutes, you get an awesome FREE gift from me! I have put together the burpee challenge video for you below so check that out and watch as I get my new record of 2-minutes and 35 seconds. Before you watch, I do have to give some credit where credit is due… A few weeks back, fat burning expert Shawna Kaminski (whom you met yesterday), sent me over a copy of her Burpee Challenge workout program. 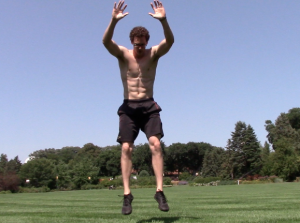 Ever since I started incorporating these workouts, my 50-burpee score has only increased. So I must say the workouts on the Challenge Burpee system are LEGIT! I can’t take all the credit… Shawna definitely helped me break my record! Alright so putting together this video and completing all 50 burpees in 2-minutes and 35 seconds took just about everything out of me. So I really hope you enjoy. Anyways, check out the video, take the challenge, and be sure to head over and check out Shawna’s program. Oh, and I should point out… Shawna… She is 50 years old and looks the way she does. You can thank the burpee for that! => Go Grab Shawna’s Program Today! Ok… Now it is your turn! Give this challenge a try, let me know how you did and if you beat that 3-minute mark… You will get your FREE gift! If you could, be sure to share this link with your friends. The more people taking the 50-burpee challenge… The better!